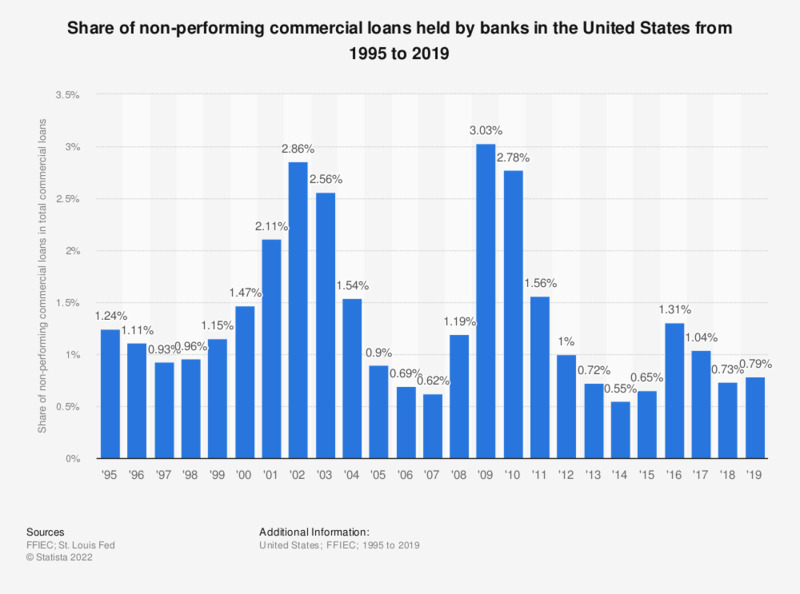 This statistic presents the share of non-performing commercial loans held by banks in the United States from 1995 to 2018. Non-performing loans are those with 90-days or more past due or nonaccrual in the call report. In 2018, 0.73 percent of total U.S. commercial loans were non-performing loans. Percentage of non-performing commercial loans equals total non-performing commercial loans divided by total commercial loans. Non-performing commercial loans are those commercial loans that bank managers classify as 90-days or more past due or non-accrual in the call report. Statistics on "Loan investments in Europe"